The mouth is the dominant feature of the face by virtue of its size. By the same token, the central incisor is the dominant tooth of the smile. It goes without saying that dominance must be measured according to personality. 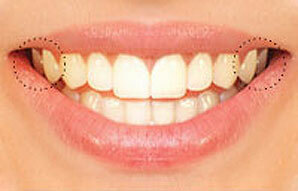 Cosmetic dentistry creates attractive smiles that function in a state of health. As cosmetic and restorative dentist, I can help you determine how to improve your smile, thereby looking better and feeling better about your appearance. If your teeth are chipped, spaced or discoloured, if their shape is somehow unattractive or if you simply want to have an eye-catching smile, I can give you the smile you once had or the one you always wished for. And you thought a smile is a smile is a smile! Not at all - your mouth is the first point of contact when interacting with people, and apart from the eyes, the mouth is also where various emotions are first visible (a grin, a smirk, unhappy, and so on). There are two ways regularly used to analyse your smile - the emotional evaluation and the objective analysis. 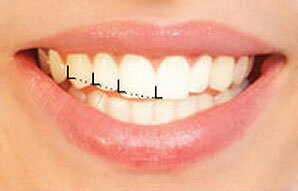 The emotional smile evaluation is based on each individual's subjective perceptions of his or her smile. The questions below are designed to help reveal a person's inner feelings about the manner in which their smile affects their self image, how it impacts interactions with others, and how it influences the quality of their relationships. For the objective analysis, the best thing is for you to stand in front of a mirror. Now, smile at yourself using your 'normal' smile. Next, look at the mirror and think of a hilarious moment in your life and give a big, laughing smile. This big smile is probably a much larger smile than you feel comfortable using much of the time if you are not happy with your teeth. When your smile is improved, however, your big smile appears much more spontaneously because you look (and feel) great! So let's figure out what's holding your big smile back -- what it is that bothers you about your teeth. Are the edges of any of your teeth too long or too short or are all your teeth even? If you answered yes to MOST of the above questions, I can help give you a better, more beautiful smile.